Seth Welch and Tatiana Fusari a Cedar Springs, Grand Rapids, Michigan couple face life without parole after electing not get help for their sick daughter on religious grounds. 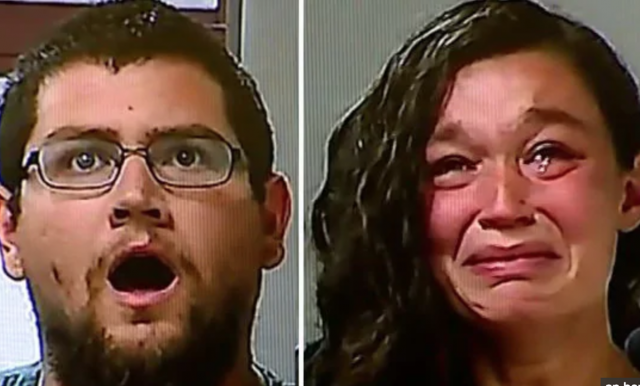 The Christian parents of a 10 month old Michigan baby girl face life without parole after being charged with felony murder and first-degree child abuse after electing to not get help for their sick daughter on religious grounds. Indicted on Monday were Cedar Springs parents, Seth Welch and Tatiana Fusari, both 27, after the couple allegedly refused to get medical help for their baby daughter who was suffering from malnutrition and dehydration. The announcement of the couple’s charges during a formal court arraignment in Kent County led to the couple reacting viscerally, with Welch stared ahead with his mouth wide open while Fusari burst into tears. Seth Welch and Tatiana Fusari harbored distrust of doctors and refusal to have his children vaccinated. Detroit Free Press reported first responders finding Mary with sunken eyes and cheeks after Welch called 911 to say he’d found the child dead in her crib at the couple’s Solon Township home, north of Grand Rapids. An autopsy on Friday ruled her cause of death as malnutrition and dehydration due to neglect by adult caregivers. Welch and Fusari, who also shares her husband’s surname, were brought in for questioning where they admitted to noticing their daughter was skinny and underweight as early as a month before her death. According to court documents, the couple during initial questioning conceded seeking medical help ‘for fear of having Child Protective Services called, lack of faith and trust in medical services and religious reasons’. The father’s admission follows the man previously posting about CPS, his distrust of doctors and his religious beliefs on Facebook. In one video post the adamant father spoke about refusing to get his children vaccinated because ‘God is sovereign over disease’. The father also dismissed doctors as ‘priesthoods of the medical cult’. ‘Woke up to Mary dead in her bed this morning – this evening had our children removed and placed on “no contact” because Tati and I are the worst parents ever – Thankfully they are with grandma and grandpa. Of intrigue, the resolute father ‘advertising’ his beliefs on hand-painted signs nailed to trees and on the fence in front on his home. ‘Repent. Believe. Obey,’ read one message painted in white according to WOOD-TV. Pictured, Tatiana Fusari and Seth Welch. Police bookings. 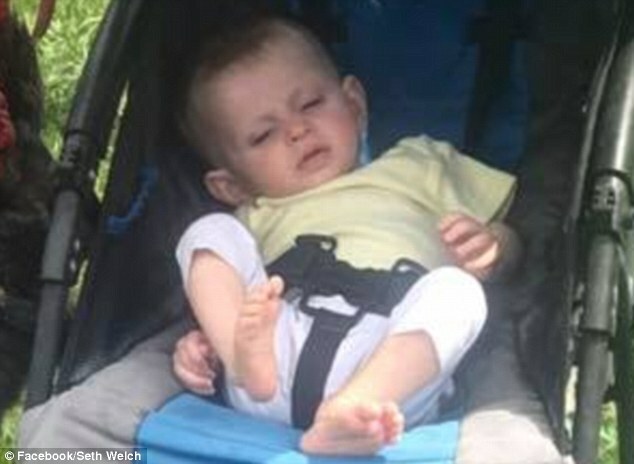 Pictured, Tatiana Fusari and Seth Welch 10 month old baby daughter, Mary Welch. Seth Welch Facebook post, ‘It didn’t seem smart that you would be saving people who weren’t the fittest’. Welch wrote on Facebook that someone called officials about him when he initially refused to get his oldest daughter vaccinated. His two other children, including Mary, were not vaccinated. Welch and Fusari have two older children together, ages 2 and 4. But it gets better, Fusari is also believed to now be pregnant with a fourth child. The parents are being held without bond and court records do not list lawyers for the husband and wife. The couple could face life in prison without parole, if convicted of felony murder. They are back in court on August 20. The Michigan couple’s child’s death follows that of similar cases with other Christian faith based religions, including that of an Oregon couple who recently pled guilty to choosing praying over medical treatment for premature baby. That incident led to the couple being sentenced to almost seven years prison. Faith based healing: Ohio parents and grandparents put newborn baby corpse in plastic container charged.